Did this Reed guy dress exactly like Sunday Tiger to mess with everyone? 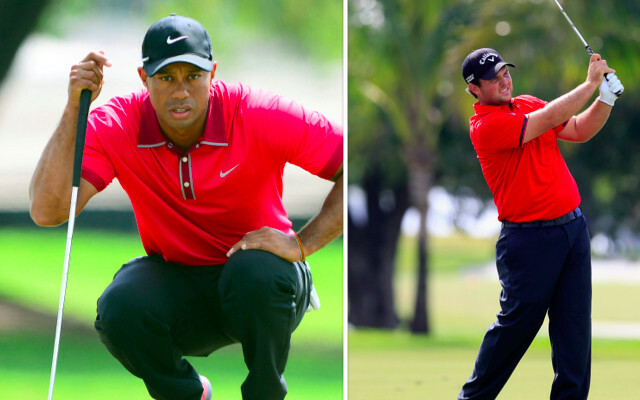 Patrick reed wearing red and black on Sunday while tiger is playing is an absolute travesty. Nike needs to drop Patrick Reed for wearing red and black on Tiger Sunday. Disgrace. Of course, it should be pointed out that not only does Tiger not own the exclusive rights to wearing red and black on Sunday; he wasn’t even the first professional golfer to do so on the PGA Tour! 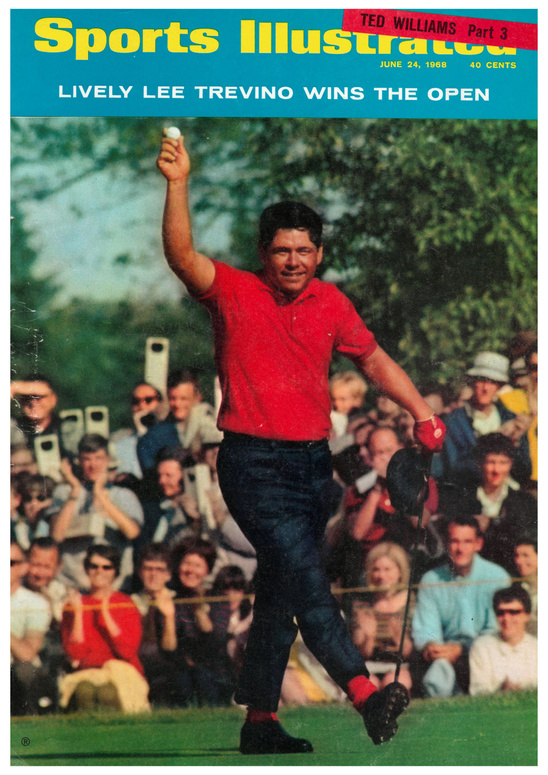 Lee Trevino had been famously donning red and black for more than a decade before Woods was born, and the Merry Mex has never once accused Tiger of stealing his style. So, let’s lay off poor Patrick, and his Sunday attire, in the future. He needs all of the love that he can get at the moment, after blowing his chance to win the Valspar with this terrible putt on the final hole. You may have thought that Tiger would have needed to win at least one tournament to become the overall favourite heading into Augusta National next month. However, it turned out that the man only needed a single runner-up finish at Innisbrook and a hot start at Bay Hill to make the jump. 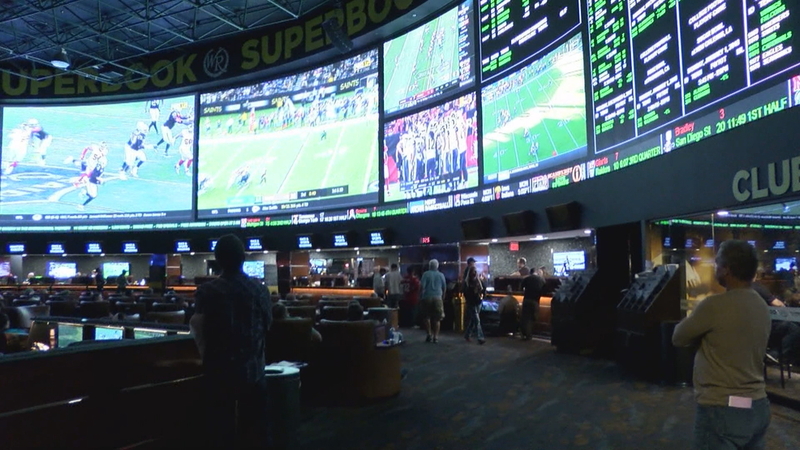 Shortly after making birdies on three of his opening seven holes at Arnie’s house, the Westgate Las Vegas SuperBook released an updated Masters odds list that had the 14-time major champion atop all contenders at 8:1! That’s right. Despite being ranked 149th in the world and not having won a single professional event since 2013, Woods surpassed both Dustin Johnson and Justin Thomas — a duo that has won a combined total of 10 tournaments over the last 15 months — as the odds-on favourite to win the Masters! 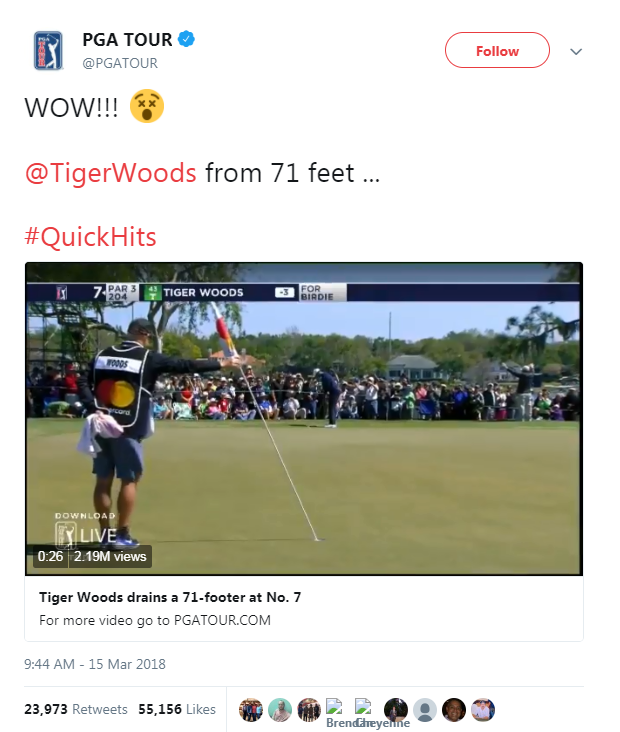 We know that Tiger has been playing much better than anyone expected, but that is just ridiculous. 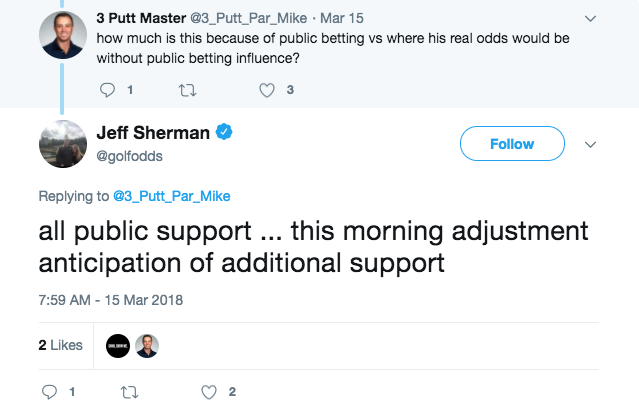 Westgate SuperBook oddsmaker, Jeff Sherman, explained in a tweet soon afterward that Tiger’s odds had only been lowered in response to the number of bets that had been, and were still expected to be, placed on the 42-year-old claiming his fifth green jacket. 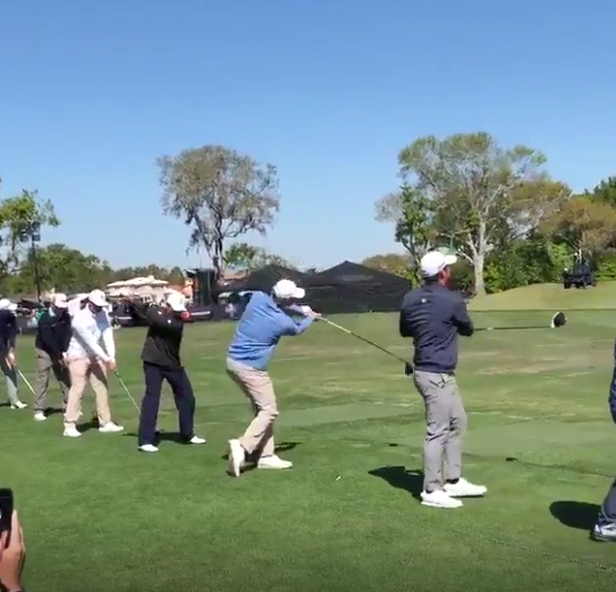 Prior to the Arnold Palmer Invitational last week, more than 20 players paid their respects to The King by lining up on the range to participate in the ceremonial first tee shot. Before they started, Palmer’s grandson, Sam Saunders, asked if every participant would do their best Arnold Palmer-style follow-throughs… and what resulted was a spectacle to behold! We have always wondered what our dogs are up to during the day when we are at work. 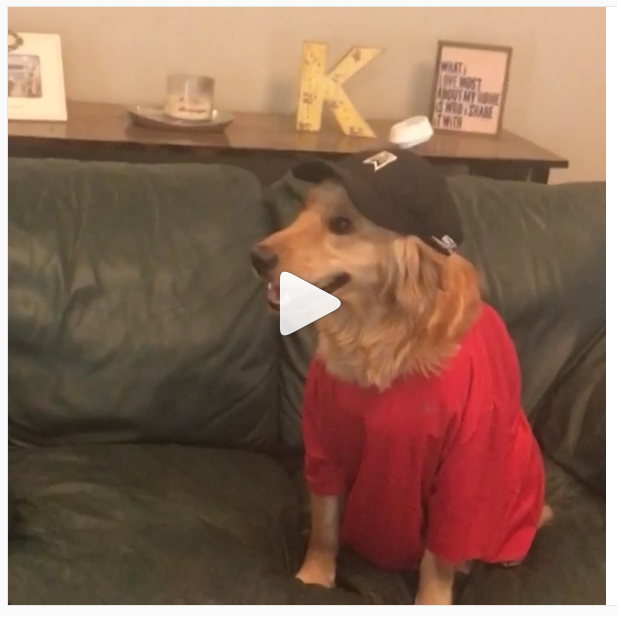 Now we know for certain that they are at home watching Tiger Woods play golf! Who else shrieked when this putt dropped into the hole?